1. 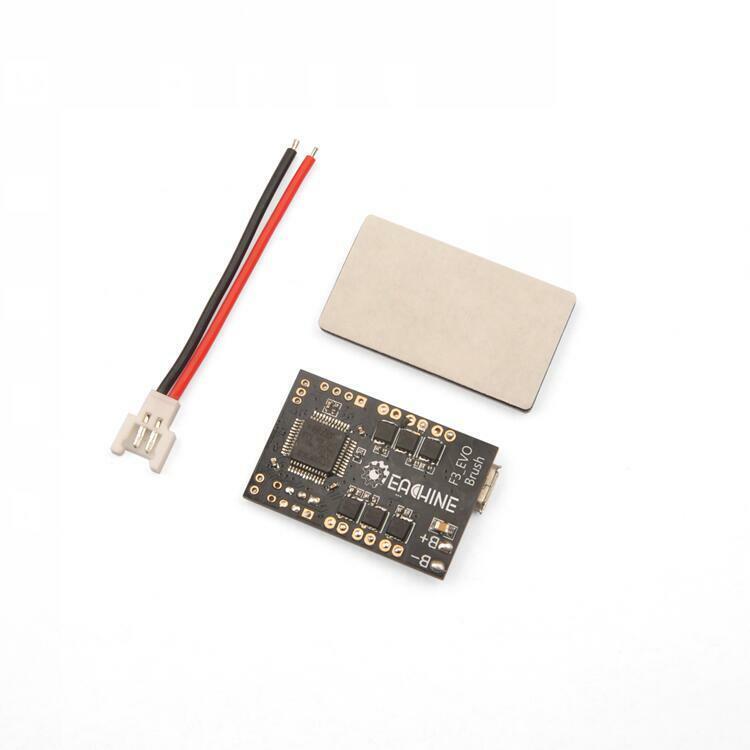 F3_EVO_Brush is in the revision on the basis of the F3 EVO SP RACING,it is a 32bits brush flight controller based on SP RACING F3 EVO firmware. 4. Using STM32F303CCT6 + MPU6500, advanced hardware platform F3 guarantee more stable flight. 5. With a 6-ways large current NMOS transistors, operating current of up to 10A or more. Each machine is equipped with freewheeling diodes. 8.In support of the world almost all hollow cup motor, including 1020 coreless motor.Support 6 motor. 1. DSM receiver soldered directly to the DSM interface 3.3V, GND, RX3, in CF software configuration UART3 for Serial RX, and change the Receiver mode to RX_SERIAL,and then set up the receiver brand with Spektrum1024 or 2048. 2. SBUS receiver soldered on GND,+5V,RX2 Pin of UART2.SBUS signal in CF software configuration UART2 for Serial RX,and change the Receiver mode to RX_SERIAL,and then set up the receiver brand with SBUS. 2. PPM receiver soldered on GND,+5V,RX2 Pin of UART2.No need to open RX Serial, just in the CF software to change the Receiver mode for RX_PPM.